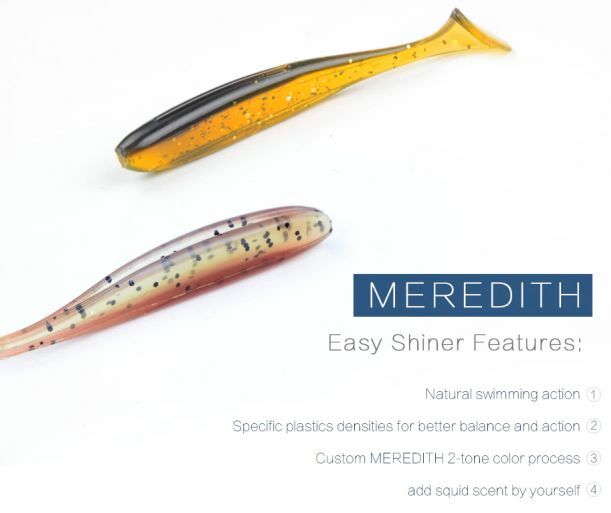 Start the spring fishing season in style and get the necessary fishing accessories like fish lures. 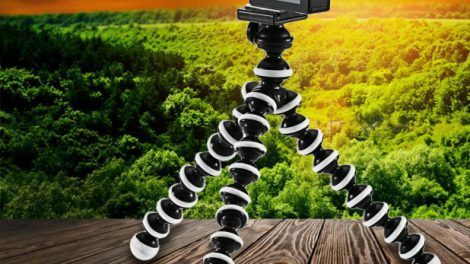 And if you don’t feel like spending too much on lure in normal stores or online, try Aliexpress, which is the biggest online market that sells hobby items from China worldwide. 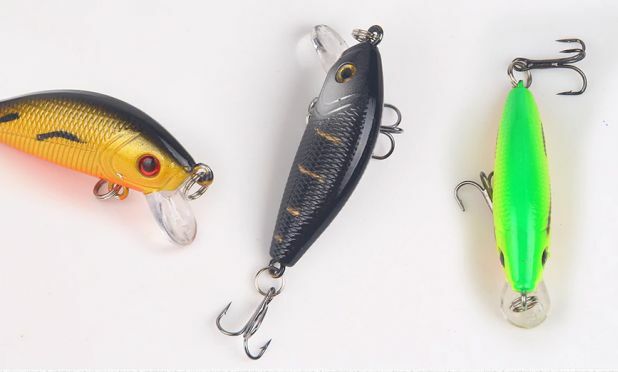 Most lures are made in China anyway, so why not bypass the middlemen and buy at the source? It’s amazing how much you can save – as you’ll be able to buy fishing accesories for half the US price or even less. 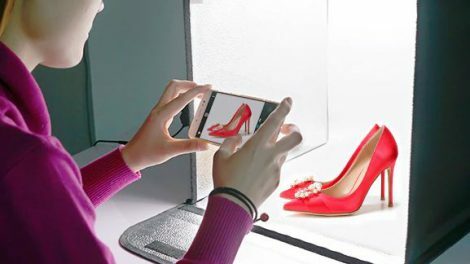 The only drawback is that shipping might take 2 – 4 weeks or more: but considering you’re getting free delivery, it’s definitely worth the wait! Aliexpress Fish Lure. A hard plastic lure weighing 4 grams (0.14 oz). Its length is about 50 mm (1.96 in). The lure has 2 high quality hooks, and judging from comments, they’re strong and reliable, so you’ll be able to handle even big catch. It is available in eight different colors. Single piece is only $0.53 and on top of that, delivery to US or Europe is totally free. Aliexpress Lure Wobbler. Sinking lure available in classic colors. The lure has 3D eyes that are more attractive to fish and give the impression of being real – you’ll easily cheat even most perceptive catch! 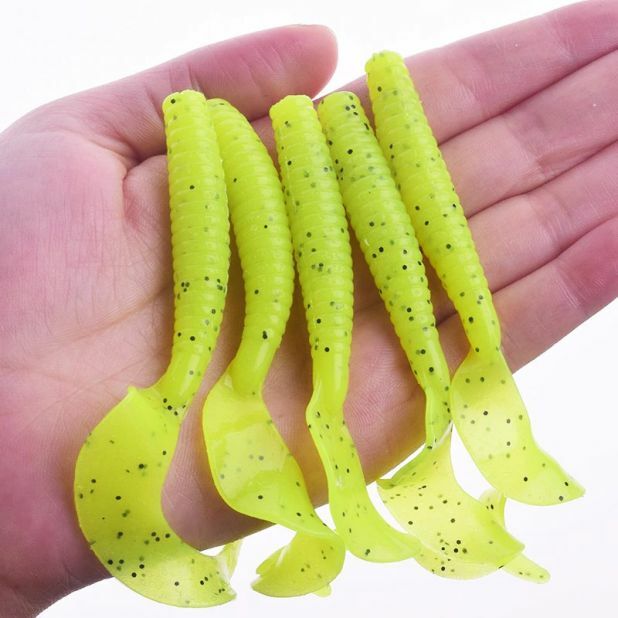 Single lure is $0.88 with free shipping, even if you buy just one. 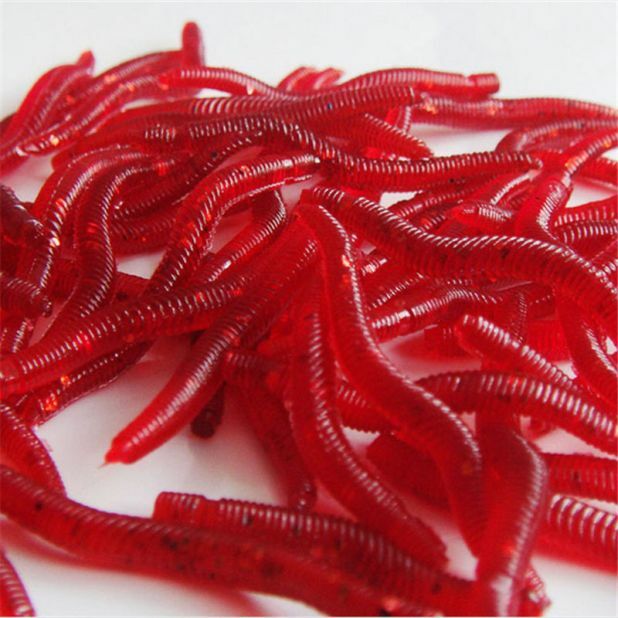 Lure Red Worms. 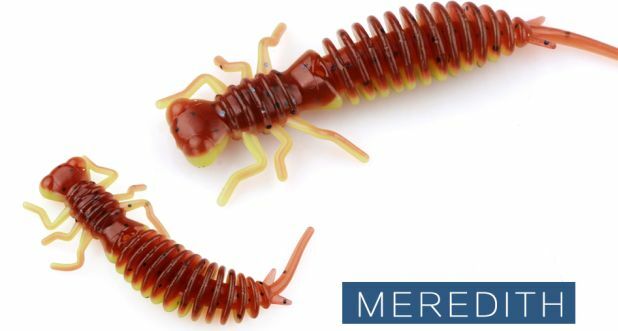 Artificial, soft worms made of silicone. A very good lure for fish that you can buy on Aliexpress. 50 pieces of worms costs only $0.79. 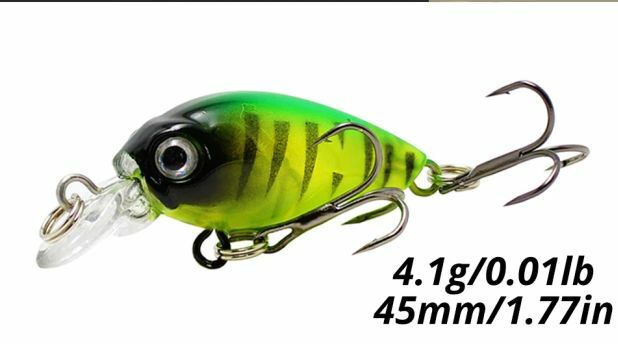 Aliexpress Lure Proleurre Wobbler. Lure by Proleurre, available in various colors. 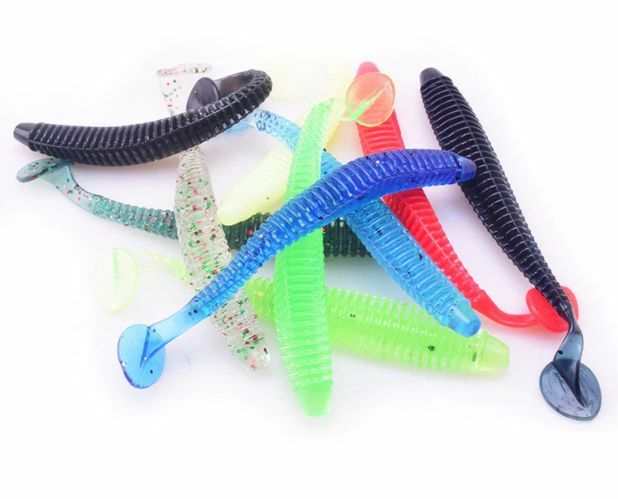 The bait, looks really attractive in the water, which have long shimmering twister tails. The lure is 80 mm long and weighs 4.2 g. Good quality lure, has high customer ratings on Aliexpress. sent in a pack of 5 pieces. The price of one package is $1.35. Bait with hooks. The bait has a length of 45 mm and weighs 4.1 grams. It is a Topwater lure, floating close to the water surface. It has realistic eyes and a nice color. You can choose lures in different colors, Price for 1 piece is $0.60. Meredith Fish Bait. 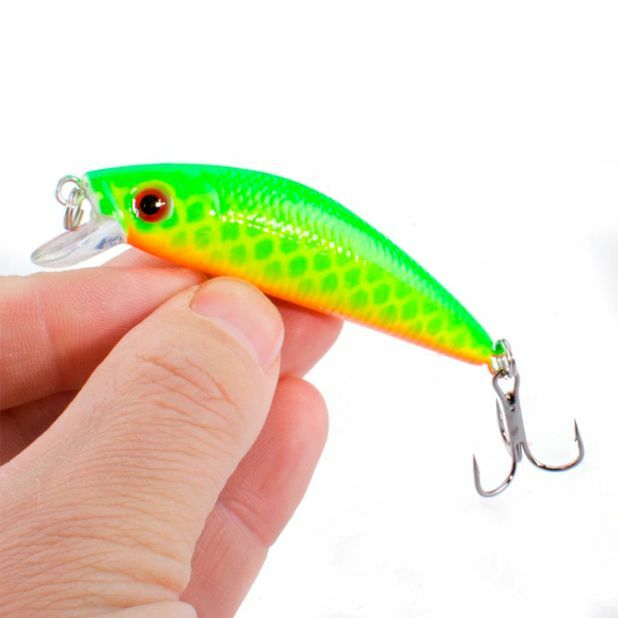 Quite unusual lure: It looks very natural in water, it’s made of very good quality material, which retains the right shape and proportions, has vibrant colors. Depending on the size of the bait you choose, you will pay from $1.50 to $3.27. Shrimp Lure. Bait for fish made of silicone gel, which contains a salt and supposedly – a shrimp aroma to help you attract wary fish. Scented lures are more attractive to fish and will help you a lot in your fishing ventures. The price for one piece of bait is $0.27. Aliexpress Artificial Larvae. This larva looks real and is an imitation of dragonfly larvae, which turned out to be effective in fishing. It is a kind of soft plastic bait that is suitable for every season. Dragonfly larvae are a favorite delicacy of both predatory and non-predatory fish. This insect lives in all kinds of ponds, among the water vegetation. The price of dragonfly larvae is $1.89 – a bit more costly, but reviewers says it’s totally worth it!